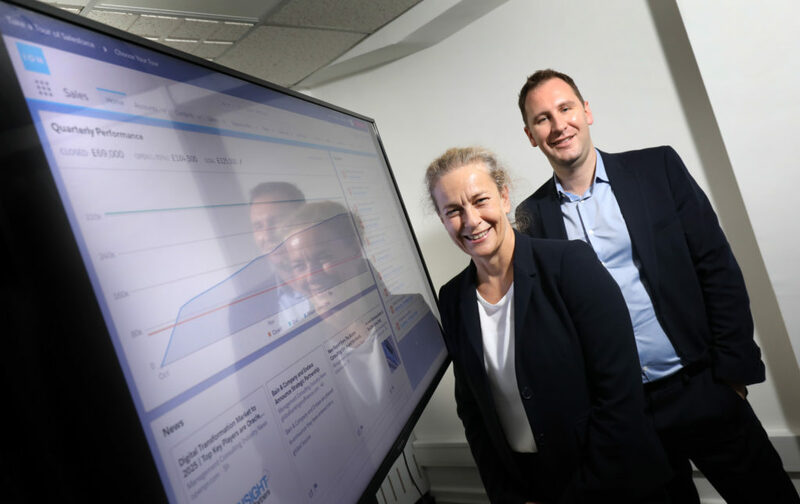 A North East business technology firm is aiming to scale up and double its workforce after winning a £50,000 investment from the new North East Small Loan Fund Supported By The European Regional Development Fund. ION uses advanced enterprise cloud technologies and bespoke business transformation services to help its clients expand by improving their sales performance. The Newcastle-headquartered firm specialises in energy, manufacturing, engineering, pharmaceutical and fast-growth SME markets, and works with a wide range of well-known regional and national names, including the Elton John AIDS Foundation, Gateshead College, Baltic Mill and the Greggs Foundation. ION has worked with regional fund management firm NEL Fund Managers to secure the Small Loan Fund investment, which it hopes will help it create up to 16 new jobs over the next year as it wins more and bigger contracts. Established in 2016, it is a registered consulting partner with Salesforce, and works with SME management teams to design end-to-end technology and delivery solutions which transform how they operate. ION is also an authorised Sage Financials implementation partner, designing and developing enterprise cloud-accountancy solutions which enhance business performance. Founder and managing director Rob Mathieson says: “The range of business technologies available is growing at an exponential rate, and having the right systems in place can make a crucial difference to commercial performance. “The solutions we provide help clients find more new business development opportunities, improve their relationships with existing customers and reduce customer churn. “We take a holistic approach to developing and implementing systems, ensuring we understand exactly how existing sales processes work, identifying where improvements can be made and specifying bespoke solutions which will have a tangible impact. “We’ve established an impressive range of services and a strong client base over the last two years, and believe we can now make significant further progress through scaling up our own operations. Jane Siddle, investment executive at NEL Fund Managers, adds: “The quality of the ION team’s insight into how advanced technologies can be used to improve clients’ business performance has been clearly demonstrated over the last two years.